Reading impairment is a root cause of poverty as it impedes gainful employment. Nearly 70% of Illinois prison inmates are reading impaired. Studies confirm that if inmates do not address their reading impairment while incarcerated, nearly 80% will repeat offend, thus continuing their cycle of poverty and imprisonment. If inmates are taught reading skills, then less than 13% will repeat offend when they are released. Our 'SOARING' program has helped 97% of inmates advance their reading skills in the Centralia Correctional Center. This is the #1 program in the United States to advance inmate literacy skills. Our unique success is attributed to the "peer-to-peer" design of the program (which accelerates the reading advancement to some 5 grades per year, and keeps program costs down). We also keep costs down by encouraging Volunteer Literacy Aides (with education backgrounds) one or two days a month to assist inmate testing and monitoring. The education of inmates will reduce total costs to the Correctional Centers, law enforcement, and the court, as well as greatly reduce harm to the general public. The Illinois Department of Corrections (IDOC) endorses and financially supports 'SOARING' advancement into all 26 of its correctional centers. 'SOARING' needs to raise $10,000 per year in the Diocese of Belleville to cover its costs of operation which includes managing the literacy program, inmate tutor training, managing volunteers, cost of materials, and mileage reimbursement for volunteers. To raise these funds we endeavor to have a very simple "email RAFFLE" (which has successfully been used in the past in the Diocese of Belleville for other fund-raising). 'SOARING' representative, Mr. Michael Schuette, will be in contact with each parish to assist with the details. Our Prison Ministry Office has provided the below instructions for participation in this raffle. 2. Please put the attached “Help Inmates Change RAFFLE Flyer” ad on your Parish Website from April 1 thru May 17. You can also print some out to serve as signs. PLEASE BUY A RAFFLE TICKET TO CHANGE INMATES LIVES FOREVER: Grand Prize $5,000 plus 11 other cash prizes. Just go to bit.ly/inmateshelpinginmates to buy tickets. 4. We will be sending you POSTCARDS to put in your pews or at your entrances. When they get to you, please distribute them…and let us know if you need more postcards. Please click here for the full flyer - 'SOARING: Inmates Helping Inmates' of Poverty Services of Catholic Charities of Southern Illinois. Or click on the poster below. I wish to thank everyone for your support of this very important life-changing ministry in our Diocese. The Catholic Church in the United States stands at a critical crossroad. On the one hand, the Church is facing the greatest crisis in its history with the unspeakable sin, scandal and crime of members of the clergy abusing children and concealing that abuse. On the other hand, the Church, has long been a powerful moral voice proclaiming the truth of Christian morality and the dignity and worth of every human life by opposing injustices, the violence of war, unjust penal systems, euthanasia, abortion, racial, ethnic, and religious prejudice, the destruction of the environment in our common home and forms of oppression causing great harm to the most vulnerable, especially young children. The abuse crisis has caused more and more people to close their ears to the voice of the Church which, in their view, no longer has credibility. At this crossroad, some Catholics, including leaders of the Church, may feel compelled to withdraw from the Public Square and remain silent in the face of so many cross currents. However, as followers of Jesus Christ, we are not free to do that. We believe in the mercy and forgiveness of God. We believe that we should truly repent for our sins, seek forgiveness from those we have sinned against, pray for the strength we need to be faithful to our repentance over and over again. Then, as redeemed sinners, we must humbly take our place in the Public Square proclaiming the dignity and worth of every human person. It is from this vantage point that I write to you today. Birth of Reverend Doctor Martin Luther King, Jr. I would like to share with you the texts of the Conference Presentations and Homilies of the Preacher to the Pontifical Household, The Reverend Father Raniero Cantalamessa, O.F.M., Cap. These were delivered during a special retreat for the Bishops of the United States held at Saint Mary of the Lake Seminary in Mundelein, Illinois at the beginning of this New Year. I share them with you in the hope that you peruse them for ideas that may be helpful for your own prayer and reflection on your ministry and the life of the Church. The Catholic Diocese of Belleville has cooperated fully with the Illinois Attorney General’s Office and provided it with all the information and records it requested. 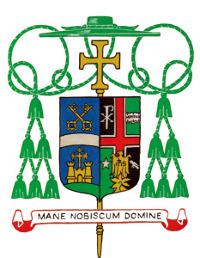 The Diocese formed its Review Board in 1993 to investigate any allegations of childhood sexual abuse directed against any member of the clergy in the Diocese. Since then, and in accordance with every recommendation made by the Review Board, the Diocese has removed a total of 17 members of the clergy from ministry. The vast majority of these credibly accused clergy were removed in the early to mid-1990’s; only three such removals have been necessary since 1998 and only one since 2002. The Diocese publicly announced all such removals at the time they occurred, and the names of all 17 removed clergy were posted on the Diocese’s website, www.diobelle.org/faith-formation/child-protection, at its own initiative. The Attorney General’s preliminary report cites combined statistics for all six Illinois dioceses of the Province of Chicago without delineating between them. This could give the false impression that a significant number of credibly accused Belleville clergy has not been disclosed. This is incorrect. The Diocese of Belleville has publicly identified all members of its clergy who were credibly accused and removed from ministry, and the Attorney General’s Office has not advised the Diocese of any perceived omissions or errors in its public listing. The Diocese believes that the education, training, prevention and investigation policies and procedures it has put into place over the past twenty-five years has dramatically improved the protection of children entrusted to our care. Nearly all allegations of childhood sexual abuse against clergy of which the Diocese is aware occurred decades ago, with no allegations of reported abuse against our clergy occurring after 2000. The terrible sins, scandals, and crimes committed by members of the clergy in abusing children and concealing these offenses may have created the greatest crisis in the history of the Catholic Church. The Bishops of the United States have decided to commit themselves to a time of intense personal prayer and reparation during the days before our annual autumn meeting in Baltimore from November 12-16. During that meeting the Bishops will be making important decisions in response to the abuse crisis. With my fellow Bishops in every diocese, I will be setting aside time for prayer before the Blessed Sacrament and fasting during seven days, from Monday, November 5, to Sunday, November 11. We will be praying as a body for the wellbeing and support of all survivors of clergy sexual abuse and for their families; for true repentance in the hearts of offenders and those who concealed offenders which will allow them to change their lives and accept the just punishments for their offenses; and for greater wisdom, strength, and courage so that we who are Bishops may be more vigilant and more faithful shepherds of the holy people entrusted to our care by the Lord Jesus Christ. We will pray that we will be more mindful of the mandate of our ordination as Bishops to protect our people from harm. Finally, we will be praying for those priests who have been wrongly accused that they may receive the support they need. I invite you to join me and the Bishops of the United States in praying with humble hearts for these intentions. I am aware that many of you are hurt, angry and disappointed by the actions of some Priests and Bishops. Nevertheless, I would be very grateful for your prayers for the Bishops of this country during our meeting in Baltimore. Pray that the Holy Spirit will help us to become more honest with ourselves and with each other. Pray that we may be more realistic about the human failings of Priests and Bishops, acknowledging that we are all redeemed sinners. Pray that the fire of the Holy Spirit will burn away all traces of indifference to the terrible moral crisis that has engulfed our Church. Pray that we all renew our commitment to strive to be saints. Be assured that you and those who are dear to you are often in my prayers. The Most Reverend Edward K. Braxton has formally appointed Mr. Jonathan Birdsong as the Director of the Department of Faith Formation with specific responsibilities as Director of Education and Superintendent of Schools for the Diocese of Belleville. At the same time, Pastors of parishes with schools will no longer have the title Superintendent of Schools. This change, which is effective immediately, brings the Diocese of Belleville into conformity with every Catholic Diocese in the United States. Parish Pastors do not have this title in any other Diocese in the United States. In accord with the Code of Canon Law, especially Canons 500 and 515§2, we hereby suppress St. Andrew Parish in Christopher and St. Mary Parish in Sesser and designate the former parish churches as Chapels of St. Joseph Parish in Benton. This action is taken after consultation with the leadership of St. Joseph Parish in Benton, St. Andrew Parish in Christopher, and St. Mary Parish in Sesser and hearing the points of view of many of the parishioners and after careful consideration of the pastoral situations of the three parishes in Franklin County with the Vicar General and Moderator of the Curia, Reverend Monsignor John W. McEvilly; and the Vicar Forane of the South Vicariate, The Very Reverend Steven L. Beatty. At the same time the boundaries of St. Joseph Parish are changed to embrace the former parishes of St. Andrew Parish in Christopher and St. Mary Parish in Sesser. These changes are effective on Tuesday, the 11th day of September, in the Year of Our Lord, 2018. "The pain and shame we feel at the sins of some members of the Church, and at our own, must never make us forget how many Christians are giving their lives in love." Watch the MOST REV. EDWARD BRAXTON, Bishop of Belleville, Illinois as he greets the young people of the Belleville Diocese. MOST REV. EDWARD BRAXTON, Bishop of Belleville, Illinois on the state of the black Catholic community here in America, his thoughts on the racial divide that seems to be widening here in the United States and the US bishops' plan to address the problem of racism. I am sure many of you have been following in the news the catastrophic impacts of Hurricane Harvey in Texas and Louisiana. There is dire need for food, clothing, basic personal essentials as well as emergency housing for the countless thousands rendered homeless by the hurricane. People impacted by this storm will be in need of assistance both immediately and well into the future. The Diocese of Belleville will conduct a special collection at all Masses the weekend of September 2-3 to support the relief efforts underway in areas devastated by the impacts of this storm and subsequent catastrophic flooding. I ask not only for your generosity in this appeal, but also your prayers for the many families impacted by this storm as well as the safety of the untold number of emergency personnel and volunteers. is pleased to make the following announcement. After consultation with Monsignor William J. Hitpas, Monsignor James E. Margason, and Reverend James E. Deiters, the Pastors of the parishes who have petitioned for this change, and after careful consideration of the pastoral situation of the parishes involved with the Vicar General and Moderator of the Curia, Reverend Monsignor John W. McEvilly; and the Vicar Forane of the Metro East Vicariate and Chairman of the Priests’ Personnel Board, Reverend Monsignor John T. Myler; the Parish Partnerships of St. Nicholas Parish in O’Fallon and St. Joseph Parish in Lebanon, and St. Clare of Assisi Parish in O’Fallon and Corpus Christ Parish in Shiloh are hereby dissolved. Two new Parish Partnerships are established consisting of St. Nicholas Parish and St. Clare of Assisi Parish, and Corpus Christ Parish and St. Joseph Parish. These new Parish Partnership arrangements are made ad experimentum, for a period of two years. After two years, the arrangement should be reviewed. If it is deemed a successful arrangement, it can become more permanent. and lay appointments, effective July 11, 2017. The Rev. Msgr. Daniel J. Jurek, until now, Pastor of St. Joseph Parish in Prairie du Rocher and Chaplain at the Adorers of the Blood of Christ Ruma Center, is granted retirement status, while continuing to provide Sacramental Ministry to the parishes in the Parish Partnership, after forty-four years of faithful service to the Diocese. Uganda Martyrs Day celebrations were held on June 3, 2017 in the Diocese of Hoima, Uganda. Now in the catholic mass led by the Bishop of Hoima Diocese, Vincent Kirabo Amooti on martyrs’ day the message was a reminder to Christians of their responsibility towards unity, and walking in the footsteps of the martyrs. Ernest Wisdom Kiyonga was at the Catholic shrine in Namugongo and reports. VATICAN CITY (CNS) — The work of the Rev. Martin Luther King Jr. to promote the “integral human development” of all peoples is a work that must continue today in the world and in the Catholic Church, Bishop Edward K. Braxton of Belleville, told participants at a Vatican conference. The bishop was interviewed in Rome by Catholic News Service, and a video was made of his discussion. Guests at the luncheon included Fr. Vincent Obi, Father Charles Anyaoku, Father Felix Chukwuma, and Father Abraham Adejoh. The purpose of the luncheon was to express appreciation to the Archbishop of Onitsha for his generosity in providing dedicated priests to serve in the Diocese of Belleville. Addressing a large audience at the Cardinal Rigali Center in the Archdiocese of St. Louis, the bishop pointed out that his academic training is in systematic theology and not in political science. He said that he had been Bishop of Belleville for more than ten years before he uttered a word in public about the racial divide. People came from near and far throughout the diocese to meet Bishop Edward K. Braxton at his residence Dec. 20 at his annual Christmas reception. The people were invited so the bishop could greet them and thank them for the work they do in their parishes and their communities. The Diocese of Belleville was privileged to have the relic of the heroic St. Maria Goretti in our Cathedral of St. Peter all day on October 19. This was a time of grace for all of us. It was a call to prayer for a renewed awareness of the dignity of our bodies and the true meaning of the gift of human sexuality. It was a reminder of our common vocations to be saints ourselves. Eleven-year-old Maria’s courage in accepting death rather than yielding to the sexual desires of Alessandro Serenelli eventually led to his conversion. Her fidelity to Christ has been an inspiration to countless young people, moving them to respect their bodies and the gift of sexuality in our secular age which shows very little support for the value of the family and faithfulness in marriage. The All Souls Day Mass is being celebrated for all of the “priests, deacons and bishops of the Diocese of Belleville,” Bishop Braxton said, including any who have died during the past 10 years, and those priests and deacons who have died in the last year. Bishop Edward K. Braxton recently welcomed Father Vincent Mukasa, a fidei donum missionary from the Archdiocese of Kampala, Uganda to the Diocese. He has been released by his Bishop, His Excellency, The Most Rev. Cyprian Kizito Lwanga, Archbishop of Kampala, to serve for a period of three years. Commenting on the appointment, the Bishop said, “I am very appreciative of Father Mukasa’s generosity in coming to serve the People of God in our Diocese. I am confident that he will be well received by the clergy, religious, and the Christian faithful. I am deeply grateful to Archbishop Lwanga for making this possible.” Father is already acquainted with the Catholic Church in southern Illinois, since he has been coming to the Diocese during the summer to provide pastoral ministry, on and off, since 1998. Father Mukasa will be joining two other fidei donum priests from Uganda currently serving here: Father Christopher Mujule from the Diocese of Hoima and Father Bernardine Nganzi from the Diocese of Fort Portal. His Excellency, The Most Rev. Edward K. Braxton, Ph.D., S.T.D., Bishop of Belleville, is pleased to announce the following clergy, religious, and lay appointments, effective Tuesday, July 14, 2015, St. Kateri Tekakwitha, unless otherwise indicated. His Excellency, The Most Rev. Stanley G. Schlarman, DD, Bishop-emeritus of Dodge City, Kansas, and generously serving as Vicar for Priests of the Diocese of Belleville for the last ten years, has been granted retirement status from his ministry as Vicar for Priests. The Diocese of Belleville welcomes Deacon Brett Judkins who was ordained May 23, the eve of Pentecost at St. Peter Cathedral in Belleville by Bishop Edward K. Braxton. During his homily, the bishop spoke directly to Brett Judkins who was seated in front of the bishop in the sanctuary. Immediately after the homily, the deacon candidate lay prostrate in the sanctuary as the choir sang the Litany of Saints. Then, laying his hands on the candidate’s head, the bishop prayed the prayer of ordination. His Excellency, The Most Rev. Edward K. Braxton announced today that he has appointed Mr. Michael D. Gibbons as the new Chief Finance Officer of the Diocese, effective May 4, 2015. He succeeds Mr. James V. Mroczkowski, who has completed his five-year contract. Mr. Gibbons received his BSBA in Accounting from the University of Missouri-St. Louis. He is a Certified Public Account (CPA) in Illinois and has his Certified Management Accountant (CMA) Certification. Mr. Gibbons has extensive experience in Finance and Management. He began his career at National Steel Corporation and progressed through increasing roles of responsibility, including positions as Vice President and General Manager of the Granite City Division and Chief Financial Officer of National Steel. After leaving National Steel, he joined Champion Laboratories, Inc., as Vice President of Finance and Chief Financial Officer, and later served as President of the company. Mr. Gibbons’ latest position was Vice President of Finance and Chief Financial Officer for FRAM Filtration. His Eminence, Francis Eugene Cardinal George, O.M.I. I join with my fellow Bishops in Illinois in mourning the death of His Eminence, Cardinal George. He was blessed with a long full life, and I am comforted by the fact that his suffering, which he endured with stoic grace, has ended. I only regret that he did not live to have years of retirement during which he would surely have continued to make valuable contributions to the Church. As it is, he made extraordinary contributions to the Catholic Church in Chicago, in the United States and around the world. He brought his singular gifts as a teacher to his Episcopal ministry, which enriched the world-wide Church. Every year Bishop Edward K. Braxton devotes a significant amount of time to Pastoral Visitations to the Catholic schools in the Diocese. These visits afford him the opportunity to see each school firsthand and to offer his personal support to the parish pastors, school principals, faculty and staff of our elementary and secondary schools. One of his primary goals is to strengthen the Catholic identity of each school and to make sure that the Catholic faith is being taught faithfully and accurately. During his conversations with the students in their classrooms, he teaches them about different aspects of their faith. For the second time in two months a personal representative of the Holy Father has been the guest of Bishop Braxton and the Diocese of Belleville. Last month, on September 25, The Most Reverend Carlo Maria Viganò, the Apostolic Nuncio to the United States, spent a day in the Diocese. His Excellency, The Most Reverend Fortunatus Nwachukwu, Apostolic Nuncio to Nicaragua was the guest of the Bishop and the Diocese October 29-31, 2014. Bishop Braxton and Archbishop Nwachukwu have known one another for many years. During his years as Chief of Protocol at the Vatican Secretariat of State, the then Msgr. Fortunatus often assisted the Bishop in making special arrangements for his guests on pilgrimage to Rome. He was especially helpful when the Bishop led a large number of Pilgrims from southern Illinois to Rome and the Holy Land during the 125th anniversary Jubilee year, 2012.